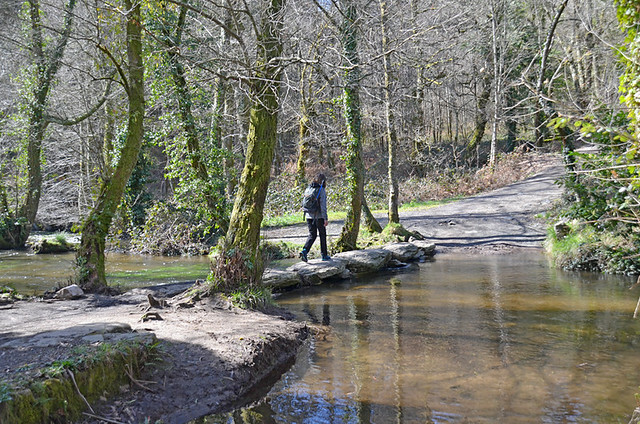 On the second day of walking three stages of the Camino de Santiago, about an hour after taking to a wooded path running alongside frosty fields on a cool but sunny March morning, Andy asks me the question. “No,” I reply without hesitation. 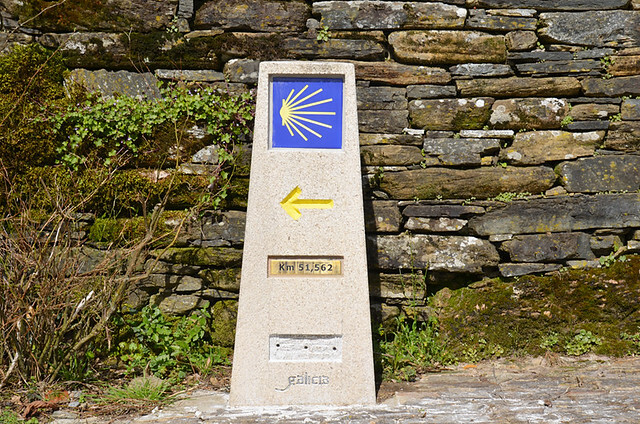 At this point my mind is still closed to what walking the Camino de Santiago is all about. 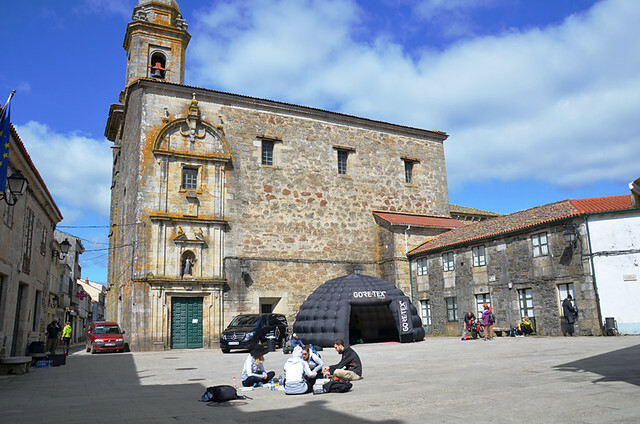 The black bubble tent looks like a UFO which has touched down in Melide’s tiny Medieval plaza. Around thirty journalists, bloggers, and instagrammers from Germany, Spain, Italy, France, Norway, Sweden, Britain (us), South Korea and Japan line up to collect maps, water flasks, and a mini digicam. In return we hand over our mobile phones, to be returned when we complete the stage. 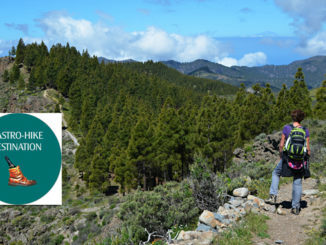 Our objective is to test GORE-TEX jackets and walking boots. 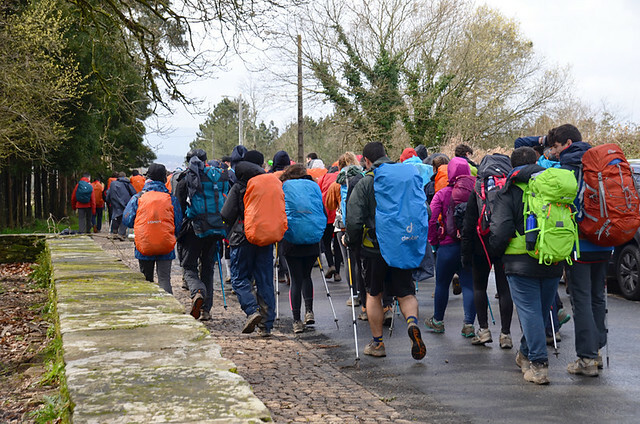 But the organisers are keen participants experience the Camino properly, without the distraction of social media. The plan was to start walking at 12.45; however, the bus journey from Madrid took longer than estimated. At 14.30 we’re just starting lunch, a hearty affair consisting of noodle soup and a schnitzel. The cutlery has gone missing so we drink the soup from its rectangular container and treat the schnitzel like finger food, watched by a couple of bemused police officers. At 14.50 we finally take to the Camino de Santiago. It’s 16km to our destination. In the hilly destinations we normally walk, a 16km hike could take most of the day so, aware of the lateness of the hour, we set off at a brisk pace. 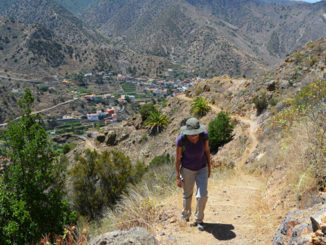 The path is relatively flat, with only slight undulations, making the going easy and fast. 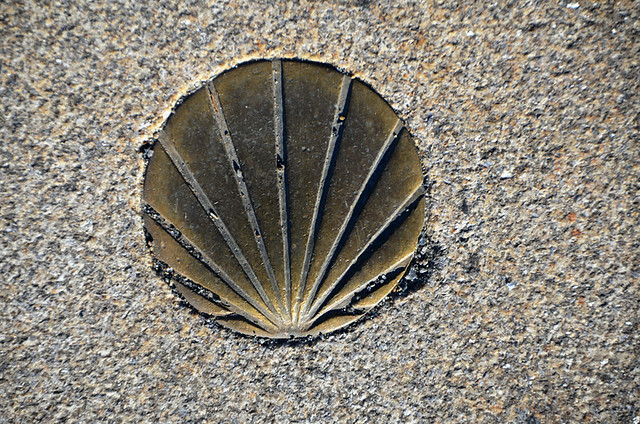 Soon we swap the town’s stone cottages for gently rolling farmlands, excited when we see the first sunburst scallop sign confirming we’re on the pilgrims’ path. Almost immediately the group thins out and we find ourselves virtually alone on the Camino. We cross streams, pass through dappled forests and skirt hamlets with narrow constructions which look like hen houses raised off the ground, but are actually designed to dry vegetables away from the gnawing mouths of rats and mice. The new boots we picked up the previous night feel comfortable and light as air; a relief as we had concerns about heading out on a long trail with them untested. 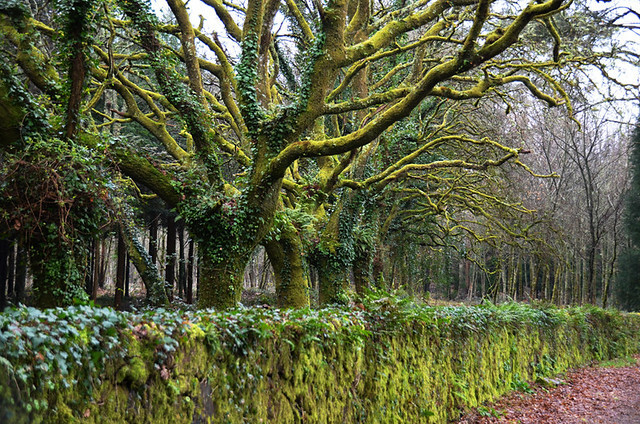 Even at this early stage it’s noticeable there’s a tranquil aura along the Camino. 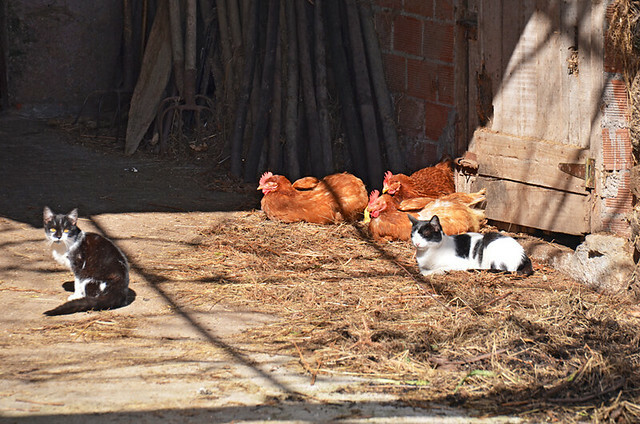 Cats and hens share the same patch of sunlight and dogs don’t go into a barking frenzy when we pass. Anyone who’s walked in Spain will know how unusual this is. 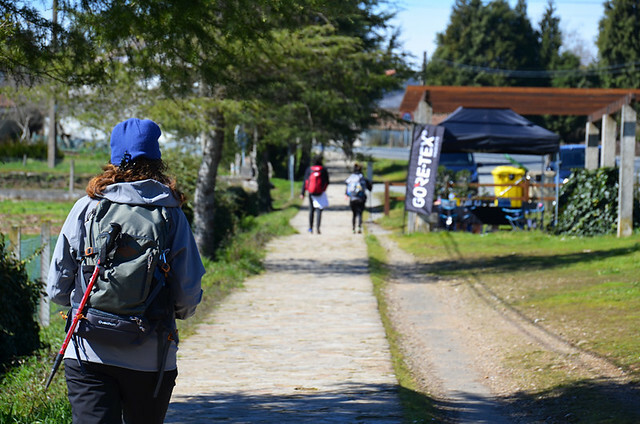 Three hours after leaving Melide, the Camino takes us through the older part of Arzúa to arrive at our accommodation, Hotel Suiza. It’s comfortable, clean and quite basic. There’s a problem with the water on our floor, it refuses to heat up. A rapid, icy shower isn’t the most pleasant way to get rid of the day’s grime. “You’re experiencing the Camino properly,” quips one of the organisers when we mention the cold shower. It’s -1C when we take to the Camino after a Spartan breakfast. The sun is shining once again, slightly disappointing the GORE-TEX crew who hoped we’d experience their product in more challenging conditions. Persistent rainfall up until the day we started walking has left sections of the path muddy. At least the boots get some of a test; although, as I don’t want to get my new footwear dirty, I gingerly pick my way through the squishiest sections. The sun might be shining, but baby it’s cold outside. Not that I feel it. A combination of snazzy new jacket, fleece-lined trousers bought for a Chile trip and gloves and hat picked up in the Black Forest have me feeling as snug as a bug in a rug. There’s a different vibe to the path this morning. We’re regularly overtaken by groups of walkers aged around 15/16; a school or college expedition. 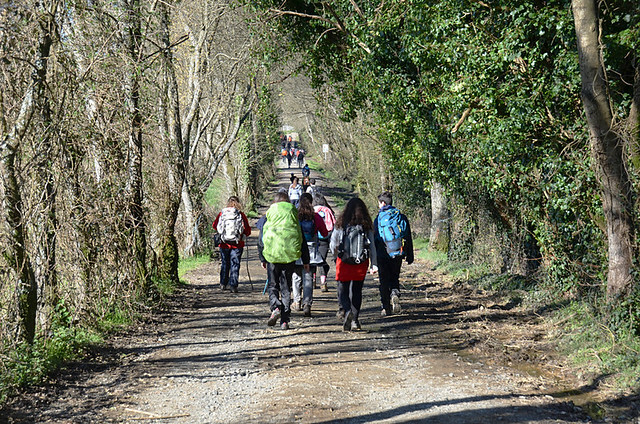 The Camino feels crowded – a contrast from the calm meandering of the previous day. We’re used to walking lesser known paths where other walkers are few and far between. Subsequently, I find myself resenting the presence of other pilgrims. Comparing the Camino with other places we’ve spent a week or two walking every day, it feels more like a walkers’ highway. At this point I tell Andy I’ve lost the desire to walk the full Camino. But I’m out of step by judging it as thought it were just another walking route. Approaching a refreshment point after 6km we catch up with a trio of young girls. They’re dirt-splattered, limping and look tired even at this early hour. They’re also smiling and chatting, clearly relishing the challenge. Whereas we stop for a drink of Aquarius and to munch a Twix, they continue to hobble onwards. There is no well stocked refreshment stall for them. The scales begin to fall from my eyes. More fall with every weary, muddy, joyous pilgrim we encounter. 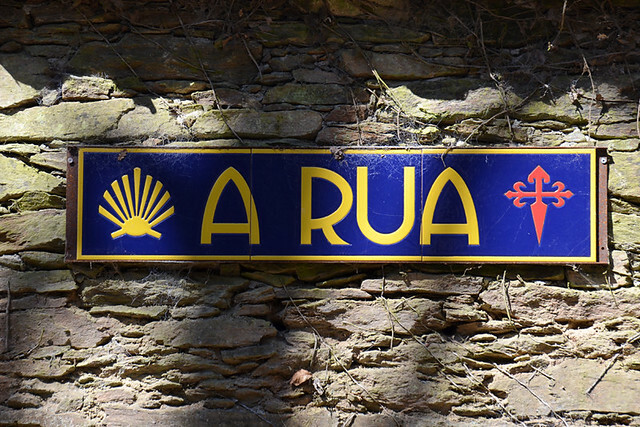 With every Camino signpost showing the kilometres to the final destination lowering, there’s a corresponding notion the levels of achievement and excitement at nearing the end of the path is rising. With it, even to part-time pilgrims like us, comes a sense of having shared something special. The evident camaraderie among walkers is inspiring, heart-lifting. 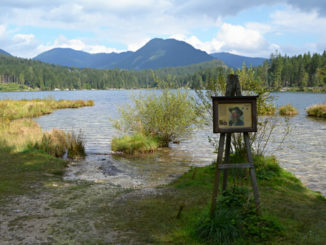 Despite a misunderstanding which adds an extra 4km to our route, we reach cosy Pension Maribela in O Pedrouzo at 15.00. It’s too soon, we should have taken more time. I don’t want the stage to end. In complete contrast to how I felt in the morning, now I want to experience the Camino like a real pilgrim; to walk it from start to finish. It’s a grey, drizzly morning. Having enjoyed two unexpected sunny days I don’t mind, in fact I’m keen to see how our gear performs in damp, windy conditions. Whereas on other stages our group split into small groups almost immediately, for the final day we seem to subconsciously stick closer together. There are some fellow GORE-TEX ‘testers’ we’ve particularly hit it off with; one of them being the delightful Amjoo, the only participant from South Korea. For the ultimate stage we walk together. She tells us about South Korea, we show her eucalyptus cups and warn about processionary caterpillars, chatting endlessly as we wind down the kilometres to Santiago. Everyone’s pace appears to be slower today. It’s not deliberate, perhaps our collective subconsciousness is delaying reaching the end of the road. Lunch is taken at Monte do Gozo, a hill where pilgrims gather for their first sighting of Santiago de Compostela. We know when we’re drawing close to it when we hear singing; apparently the tradition is for pilgrims to vociferously express their joy at seeing the end of their journey, 5km down the road. 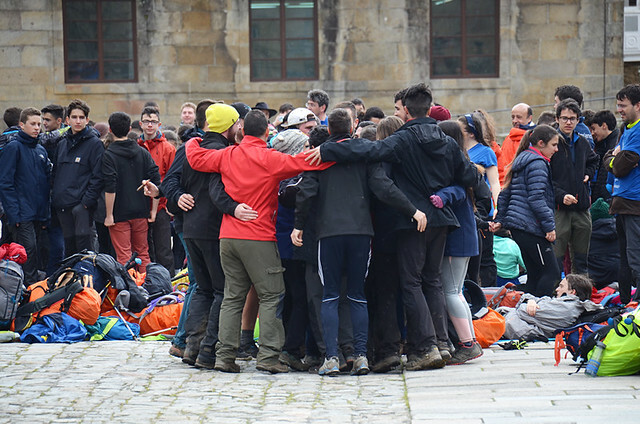 The Monte is buzzing with pilgrims, a small army in multi-coloured hiking gear, eating and chanting. Whereas a couple of days previously I might have muttered something about it being overcrowded, now their unbridled joy makes me beam. I’m happy for them; privileged to witness their achievement. I’m also jealous of the wave of emotion which will surely engulf them when they finally arrive at Santiago de Compostela’s Cathedral. As we reach Santiago’s urban outskirts the world suddenly seems more brash and full of mechanical noises. The feeling of loss at nearing the end of our brief time on the Camino weighs heavily. I really don’t want to stop walking. Ahead we can hear faint singing and cheering; the sound of mass exhilaration is infectious, lifting my spirits. Brass shells embedded in the pavement lead to the old town where tranquillity is resumed and modernity replaced by suitably historic edifices. Providing a musical welcome to pilgrims as they approach the final arch leading to Praza do Obradoiro is a Galician piper. Being Scottish, the rousing sound of the pipes automatically prods my heart, and the hairs on the back of my neck stand up. We stride through the arch to join a mass love-in of people laughing, crying, hugging. We spot some other members of our group and spontaneously hug each other. I was worried we’d be outsiders when it came to being greeted by a wave of emotion at journey’s end. A constricting throat and welling in my eyes tell me otherwise. If I feel like this after three days, I can’t imagine the intensity that comes after a month of walking the Camino de Santiago. But I intend to find out.